Writing can be a solitary activity, which may be one reason why online communities are often popular with writers. They can be useful places to network, discuss industry gossip, give and receive support for work-in-progress, learn about new opportunities, celebrate, commiserate or just be distracted. Here are seven niche writers’ communities worth a look. “Write, write, write. What is important is getting the words down, creating a first draft. Editing and revising comes later.” Book-in-a-week is all about members motivating one another to write. The site provides helpful tools and resources, prompts, specific goals to aim for and camaraderie. “Created in 2004, Writers-Network is a large online community devoted to pointing creative writers toward success.” There’s quite a bit of poetry, but writers of all creative genres and forms are welcome and active on the site. Members are encouraged to review others’ work and comment on it. Writers Online is the internet creative writing community from the publishers of (UK based) Writing Magazine and Writers’ News. As well all the features you might expect – news of competitions, courses, reviews, how-to guides and a writers’ directory, it also has an active writers’ forum. “Helping writers and filmmakers help themselves – since 2002.” Calling itself a ‘platform for exposure and discovery’, Trigger Street Labs is a community for screenwriters and filmmakers. Lots of industry news and contextual material. Writertopia is a resource for writers looking to “hone his or her professional writing skills.” The site includes listings for events, readings and workshops, as well as portfolio management tools and online workshops. 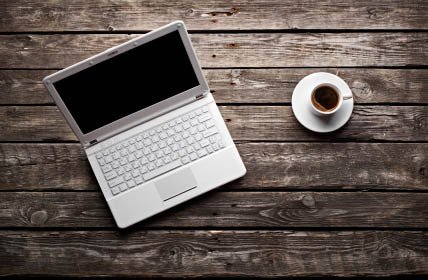 WritersCafe.org is a forum for befriending other writers and entering writing contests. Topics of discussion range from inspiration to publicity and marketing. The site includes lists of literary agents, magazines and courses. November National Novel Writing Month, or NaNoWriMo for short, has been going since 1999 and grows every year. The goal is to write a 50,000-word novel by Nov 30, a perfect challenge if you work well under pressure. There are progress tracking features, widespread support and potential for in-person meetups in your area. The event has spawned the poetry equivalent – NoPoWriMo, which runs during the month of April each year. Online communities tend to increase in value (to the user) over time, and their success depends upon a critical mass of engaged members (in other words, those who fill in their profiles fully, contribute regularly to discussion, start new topics and help make newbies feel welcome.) Another factor in a community’s success is the reliability and usability of the software and user interface, which can vary. It’s worth spending a little time exploring and experimenting with a new community before deciding whether it’s for you – don’t give up too soon if you don’t ‘get it’ right away, or if it seems clunky; it could end up being much more useful than you imagined at first. With thanks to Matt Petronzio at Mashable whose original article inspired this post and provided some of the community descriptions.